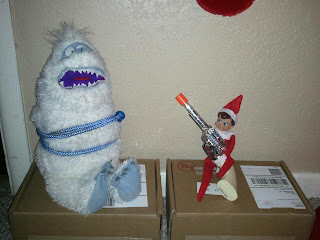 Mindy's fitness Journey: Elf on the Shelf extraordinaire and Polar Shirt Giveaway! 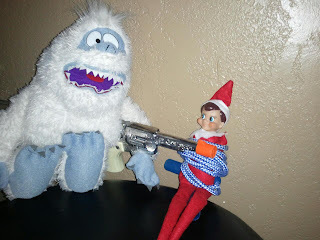 Elf on the Shelf extraordinaire and Polar Shirt Giveaway! Before I tell you about our Elf, I want to remind you of our giveaway right now!!! Don't forget about the Limited Edition Polar Shirt Giveaway! We got home from school and the tables were turned! 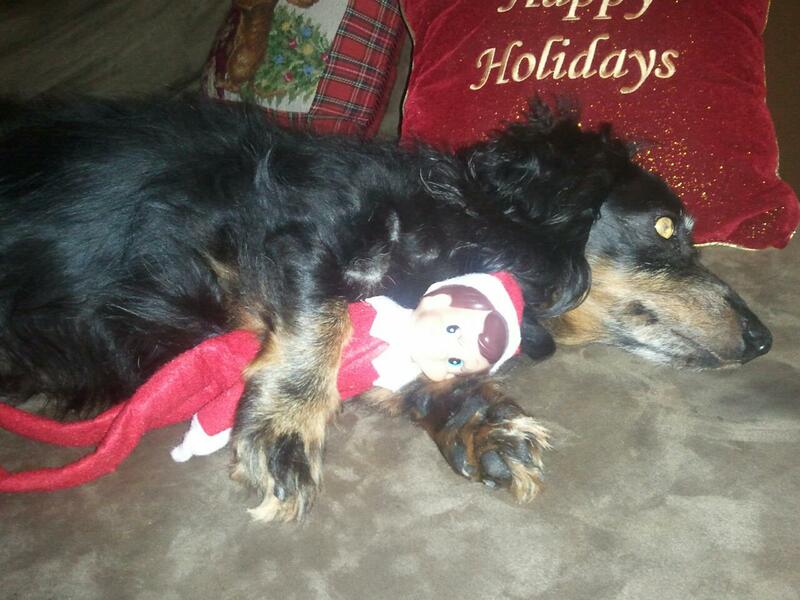 Okay, Who has an elf on the shelf? We got ours 2 years ago! 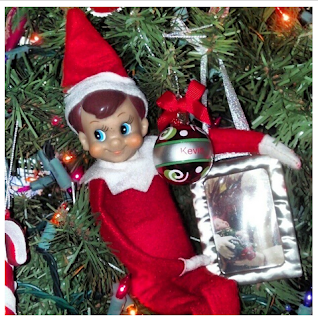 I am happy to say that Kevin has returned this year. The above picture is of Kevin today in our tree. He brought an ornament with his name on it for our tree. He has done some fun things over the last couple of years and I thought I would share those things with you. Maybe it will give your elf some ideas... Just a thought. 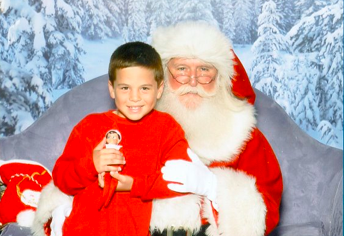 My son wrote a letter to Santa and asked if he could bring Kevin our Elf to see Santa. Santa agreed, and the next morning, Kevin was in shoe box tell us that it would be okay for Bryce to hold him ONLY in Santa's presence. My son didn't care about seeing Santa. The glow in his eyes came from holding his best friend Kevin for the first time! Kevin used my cell phone to take a picture of him and Scooter sleeping! 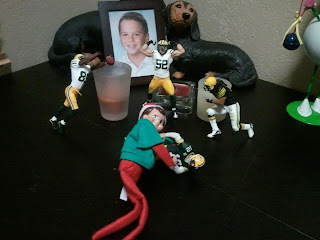 Kevin was playing a football game with my son's football figurines. Kevin sacked Aaron Rodgers. I am pretty sure there was a discount double check in there! Kevin drew faces on all of our picture frames! I will share more of his antics! Stay tuned! And don't forget to enter my giveaway! Amazing! You are such a cool mom. How fun! 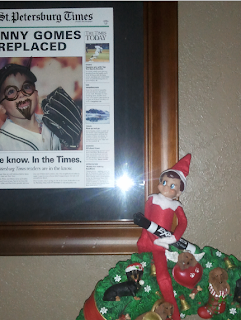 I have an elf I got 26 years ago who looks just like the Elf on the Shelf guys. Cannot wait until I have kids and he gets to do g=fun stuff like that. I live for our elf during the month of Dec. :) So much fun!!! you know what i have never truly understood the whole elf on the shelf thing. they kind of scare me. haha. but i love the idea! I could make you love him :) He is really special in our house! !